I think that I am not alone in saying that reading that tweet just leaves you with a feeling of pause. Pause to realize that you just read a piece of history. Pause to realize that, in our lifetimes, we witnessed one of the most significant advancements in automobile technology since the invention of the Ford Model T. Pause to realize that we just read the death sentence of the gas-powered car -- potentially within our lifetimes. 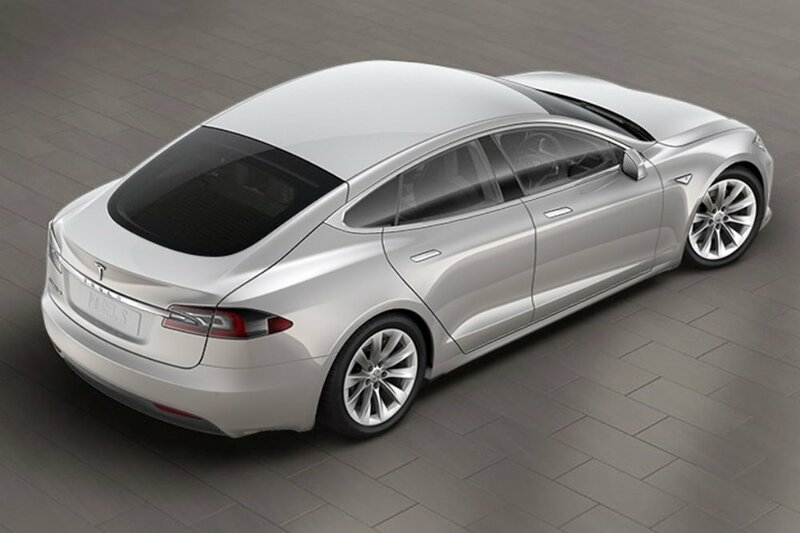 Pause to realize that Tesla finally listened to someone and designed a Model S body style that looks different from a Ford Taurus (more on this later, yes I was salty). In a word, the new Tesla Model S is amazing. I am sure everyone has their own reasons for thinking this, however, I will direct you to my personal three. Most articles I have read about the new Model S focus on the speed and range, however, I am really impressed by the 2017 Model S body style. My friends all know that I thought that the old Model S looked too much like a Ford Taurus. Check this out. Maybe you don't see it, maybe I just blew your mind. Either way, I think we can both agree that the old body style was 1) not unique enough, 2) did not match with the other innovative features of the Model S, 3) in no way competed with high-end BMW, Mercedes, or even Lexus body styles. The new Model S, however, is a vision. I think that the removal of the black front grill under the Tesla logo was a phenomenal choice -- allowing the Model S to boast the fact that it does not need a grill for cooling. Moreover, the less prominent handles give the entire car a more aerodynamic and sporty look. Finally, I love the way the middle section comes into the front. It's what everyone is talking about (I hope)... The new P100D is being celebrated as the world's quickest production car, with a 0-60 speed of just 2.5 seconds. That is a fraction of the time it took you to read this sentence. Seriously. Even now. It just did it again. Were you looking? All I can say is I hope to get to drive one some day! The new Model S P100D has an estimated range of 315 miles -- competitive with most gas-powered cars. To give perspective, my 2008 Corolla gets about 340 miles on a full tank of gas. Aside from the price, the only 'downside' to driving a Tesla is/was the range. Most would agree that the Model S is a dream for short commutes or city driving, but inconvenient for longer trips. Though it doesn't completely fix the problem, the P100D's impressive range of 315 miles at least brings it close to the range of just about any other car, lessening that drawback significantly. With a 315 mile range, there are few scenarios in which a gas-powered car would be preferred, assuming you can charge up at night. I would say the majority of people do not drive more than 315 miles a day. (The average American drives 15,291 miles per year, which works out to less than 50 miles per day -- Source: USAToday). In my view, however, road trips are the main scenario where Teslas still aren't advanced enough. Even supercharger stations only provide up to 170 miles of range in 30 minutes, according to Tesla.com. That can hardly compete with the new 330+ miles I can get within under three minutes at a gas station. With that said, Tesla's supercharging stations are free to use, so perhaps the gas $$$ savings are worth the added time to your road trip. To summarize, the P100D's extended 315 mile range puts it in league with just about any other car. The next advancement, along with greater range, will hopefully be even faster charging technology. Moreover, it is our dream to be able to partner with electric vehicle manufacturers one day to provide priority lease options to our drivers in order to increase the prevalence of electric vehicles in our fleet!